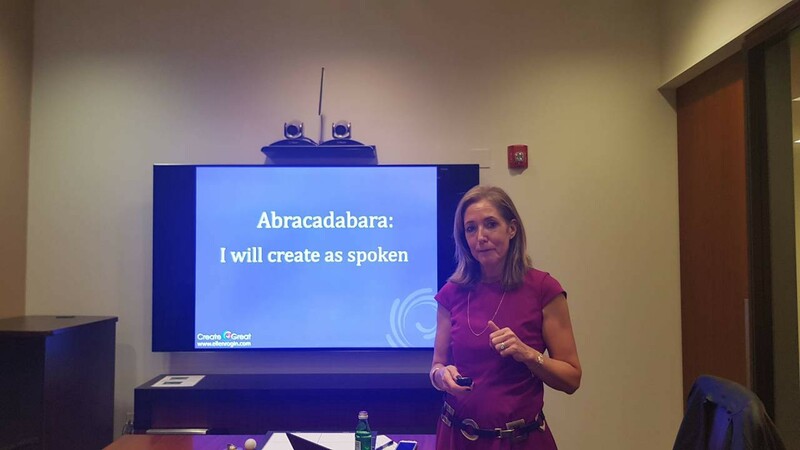 Halloween — the perfect day for business magic! Many would say wealth, riches, something connected with money. However, it’s more than that. It has a lot of different meanings for people — but it’s something we all strive to achieve, one way or the other. The fellows of World Chicago got a chance to hear from Ellen Rogin today. An expert on deliberate daydreaming, she took us on a journey into our own minds, helping map out what we thought mattered in a way that opened our eyes. 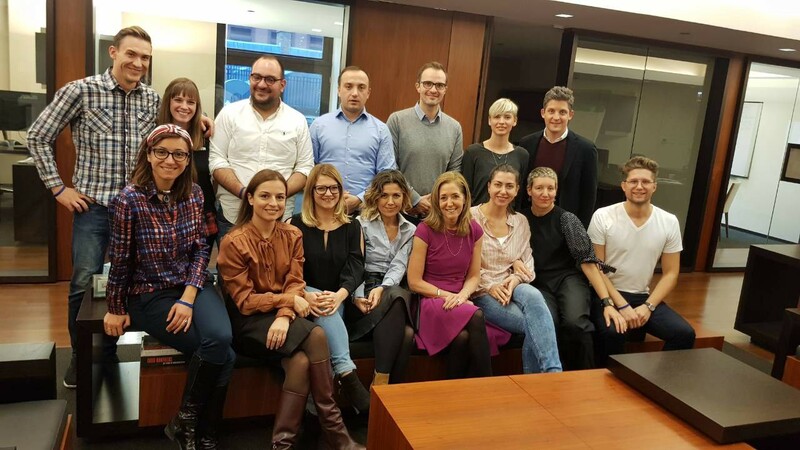 The fellows, in case you’ve been ignoring all my previous blogs (for shame) are a group of entrepreneurs and business leaders from the Balkans, brought to Chicago to work and experience life on this side of the pond, as well as spread awareness and inspiration as we see it. World Chicago, the organization that brought us here, has been providing us with an abundance of opportunities to meet cool people and get educated in concepts we weren’t aware existed. We’ve been to Chicago Ideas Week (I got a signed copy of Ellie Kemper’s book! ), the Timmy Awards (I won a 100 dollar Amazon gift card at bingo), the Chicago Innovation Awards (I was in Vegas at the time) and many more. Ellen Rogin, for those who don’t have the pleasure of knowing about her, is a NY Times bestselling author (she’s gonna be so disappointed with my quality of writing if she ever deigns to read this), speaker and career guru. She’s got more accomplishments than I can name, and she took time out of her busy schedule just for us. 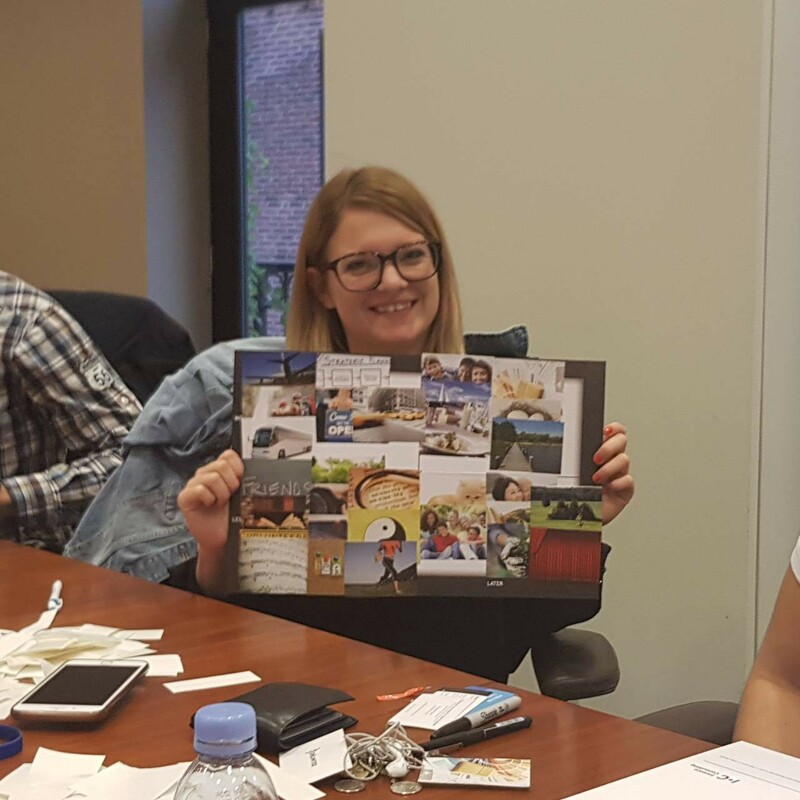 The session with Ellen was an adventure: she made us create vision boards through deep introspect, with a choice of ambiguous (if you can call them that) stickers and a solid basis of expense and time needed. The vision board was pretty simple. Two axes, one for time and one for money. Things that are cheaper and can happen sooner on the lower left-hand side, things that are expensive and aren’t likely to happen any time soon in the upper right-hand corner. Not hard to do, but definitely a struggle to decide where your priorities lie. Fun part? 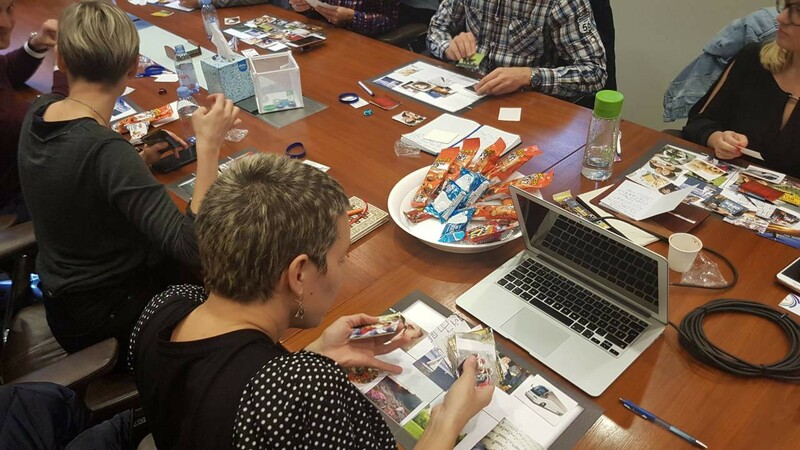 Most people had a full vision board. They stuck on 9 and more stickers, filling up the entire page — some overlapping, some standing alone. I had 7 stickers, and one of them was redundant (but pretty). Maybe I lack vision. Maybe I’m just lazy to think ahead. In any case, we all saw Ellen speak a few words and create new ideas. She taught us about things like attention, the reticular activating system, the flow of energy and connections between people, goals and everything else. What struck me most was her assurance that what we focus on is what we’re more likely to achieve. If all you think about is the sidewalk, you’re going to keep your eyes on the ground — if your worries are more on your mind than your goals, you’re more likely to trip over them than get where you want to be. Advice is a powerful thing. The fellows got as great deal of it from Ellen, and she seemed just as grateful to be sharing her wisdom as we were to receive it. I could be wrong. She could hate our guts.